Remember to pack good health for your trip! Vaccines are your passport to adventure around the world. You may come into contact with different diseases based on the countries you are visiting. Protect yourself and your community by getting vaccinated before you travel. Know before you go: Which vaccines do you need for your trip? 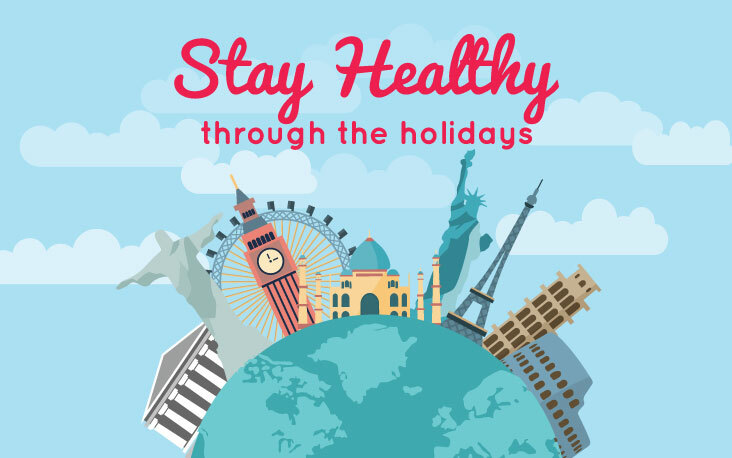 Four to six weeks before you travel, make sure you are up-to-date on routine vaccinations and schedule an appointment with your health care provider to get the recommended vaccines for the countries you plan to visit. This gives the vaccines enough time to start working and time for any vaccines that might require more than one dose. Are you aware which vaccinations you or those traveling with you may need? Do you have a weak or altered immune system due to illnesses such as diabetes or HIV? Are you traveling with a baby or child? You can Call us for details on vaccines and other important information to stay healthy while you travel.